In 2017, Vietnam’s textile and garment industry earned US$31 billion from exports, a year-on-year increase of over 10 percent. This growth momentum will continue in the next few years, with exports predicted to reach US$34-35 billion this year, and US$50 billion by 2020. Garment manufacturing accounts for the majority of businesses, at 70 percent. In 2017, garment exports reached US$25.9 billion, an increase of 8.7 percent year-on-year, while textile exports reached US$3.5 billion, an increase of almost 20 percent compared to 2016. However, Vietnam’s imports for textile production are almost half of their exports, at US$15.48 billion, highlighting the need for increased domestic sourcing to minimize trade surplus. Industry growth is not only limited to exports, but also the domestic market, which has seen a year-on-year growth of 10 percent in 2017. In Q1 2018, Vietnam’s textile and garment’s export value reached US$7.83 billion, an increase of 15.4 percent over the same period in 2017. This was the highest first-quarter growth since 2014. In Q2, the export value is estimated to reach US$8.5 billion, while the growth rate for the first six months is forecast to go up 14 percent compared to same period last year. Overall, in 2018, the industry can achieve a growth rate of 10 percent, with export value reaching US$34-35 billion. In addition to the US, the major market for Vietnamese textile exports, exports to China, Japan, and South Korea have been growing consistently. In Q1 2018, exports to the US reached US$3.14 billion, an increase of 13.2 percent compared to Q1 2017, its highest in three years. Exports to Japan, South Korea, and China during Q1 2018 grew by 27 percent, 22.3 percent, and 26 percent year-on-year respectively. Exports value stood at US$958 million, US$896 million, and US$832 million respectively. On the contrary, exports to EU grew by a modest 1 percent to US$1.13 billion in the first three months of 2018. Increased market access through free trade agreements and technology are the major growth drivers for the textile and garment industry. 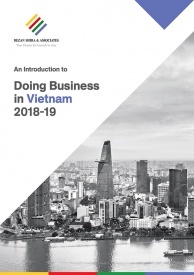 Vietnam’s bilateral and multilateral FTAs continue to provide Vietnamese manufactures access to new markets, minimizing the effect of growing trade protectionism. 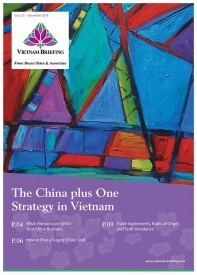 With new FTAs to be in effect such as the Comprehensive and Progressive Agreement for Trans-Pacific Partnership (CPTPP) and Vietnam-EU FTA, new markets will lead to higher exports and push manufacturers to develop the industry’s supply chain so that they can take full advantage of the preferential tariffs and increase the competitiveness of their products. Going forward, market access alone will not be enough to generate growth and Vietnamese manufacturers would also need to invest in technology to increase productivity, quality, and remain competitive, especially Industry 4.0 technologies. 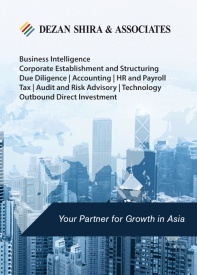 Between 2012 and 2016, the industry has attracted over US$5 billion in foreign direct investment (FDI). FDI for this year until April 2018 stood at US$1.1 billion, with majority directed towards yarns and textiles. China, Taiwan, Hong Kong, Japan, South Korea, Thailand, the US, the EU, and Russia continue to lead in investments in the textile and garment industry. According to the Vietnam Textile and Apparel Association, the industry’s exports value will reach US$34-35 billion this year, and around US$50 billion by 2020. Between 2016 and 2020, production capacity is expected to grow 12-14 percent, while export potential will annually grow by 15 percent during the same period. 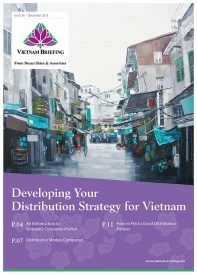 Although exports are predicted to grow, Vietnamese manufacturers need to focus on value addition. 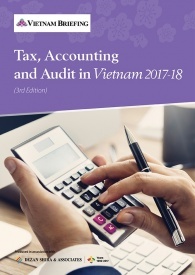 Vietnam continues to depend on raw imports, which makes it harder for firms to take full advantage of the free trade agreements with tough “rules of origin” conditions. 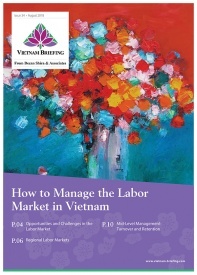 In addition, rising labor costs in China are pushing firms to countries like Cambodia, Bangladesh, and Vietnam which has been beneficial for the industry. However, Vietnam needs to continue investing in technology and training if it wants to remain competitive in the region.